The third assortment of Ghostbusters Select Action Figures by Diamond Select Toys is now available in stores, released in mid-September. Wave 3 is made up of Quittin’ Time Ray Stantz, Janine Melnitz and Slimer. Each one includes character specific accessories.Even better, each has a new diorama piece to help complete the massive rooftop diorama. With this assortments release, they are more than half way there. DST was kind enough to send along the figures for us to check out. We have over 75 high resolution photos and a review of the figures. You can check them out after the jump. You can see photos of the new releases by reading on. This week, the second series of Ghostbusters Select Action Figures ships to comic shops from Diamond Select Toys, with Peter Venkman, Egon Spengler and Dana Barrett joining the previously released Ray Stanz, Winston Zeddemore and Louis Tully. 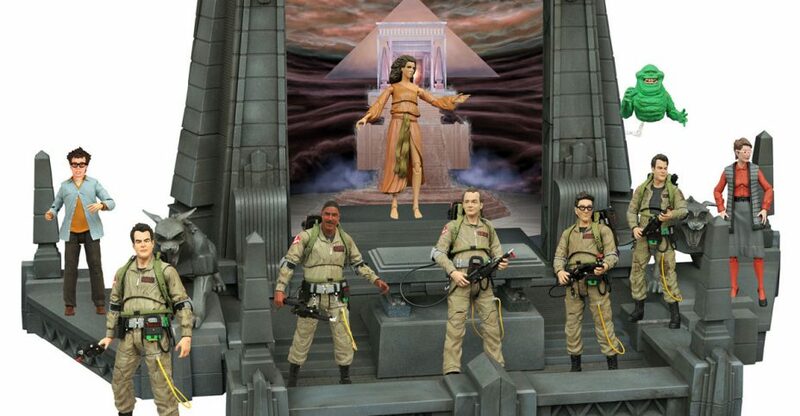 Based on the original 1984 Ghostbusters film, each of these 7” scale figures will come packaged with a piece of the rooftop temple diorama from the climactic scene, which will be spread across all 15 releases in the line. And once you have Series 2 in your hands, you’ll be able to pre-order Series 3! 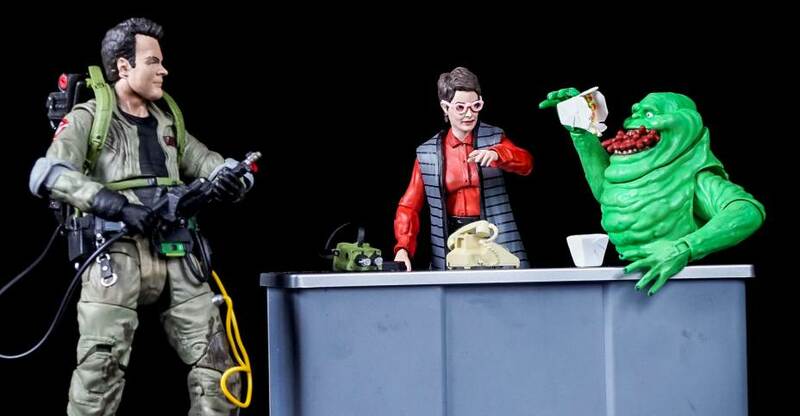 Ghostbusters Select Series 3, featuring Slimer, Janine, and Quitting Time Ray will ship later this summer, and pre-orders are open for all three figures starting this week. 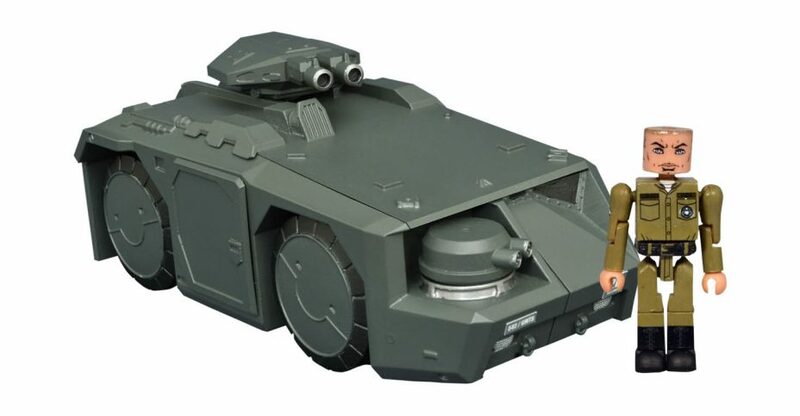 As with Series 2, each will come with a diorama piece at comic shops and specialty stores, as well as accessories: Ray will come with his ghostbusting gear; Janine will come with a phone, buzzer and takeout containers; and Slimer will come with two interchangeable faces, one of them stuffed with hot dogs! 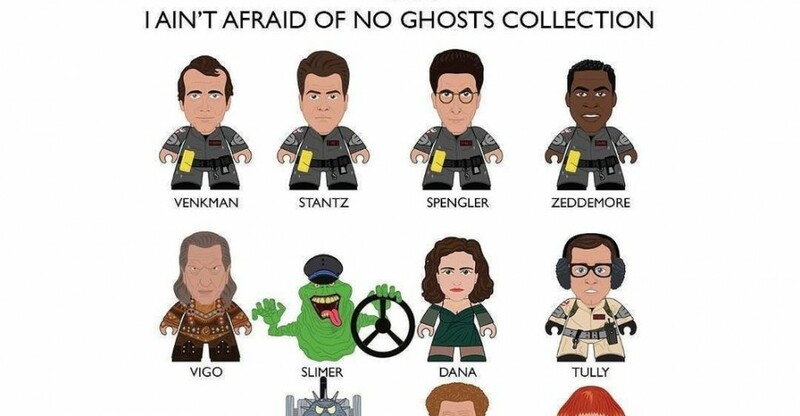 Series 4, featuring Gozer, Walter Peck and Slimed Peter will follow later on this year, and Series 5 with Terror Dog, Library Ghost and Taxi Driver Ghost will ship in early 2017. All 15 figures will be required to build the rooftop diorama, and those diorama parts will only be available with the Select versions of the figures, in the larger, specialty market-exclusive packaging, with spine artwork. Diamond Select Toys will also offer products based on the new 2016 Ghostbusters movie, including Minimates mini-figures, banks, vehicles and kitchenware. The first assortment of Minimates is available for pre-order now. We will have a full gallery and review of the Ghostbusters Select Series 2 (and Series 1 mixed in) later this week. For now, you can see photos of Series 2 and 3 after the jump. Here we have the Diamond Select Toys Ghostbusters and Horror Select figures. The Horror figures were new looks at some previously announced figures, including the great looking Wolfman and Mummy version 2 figures. 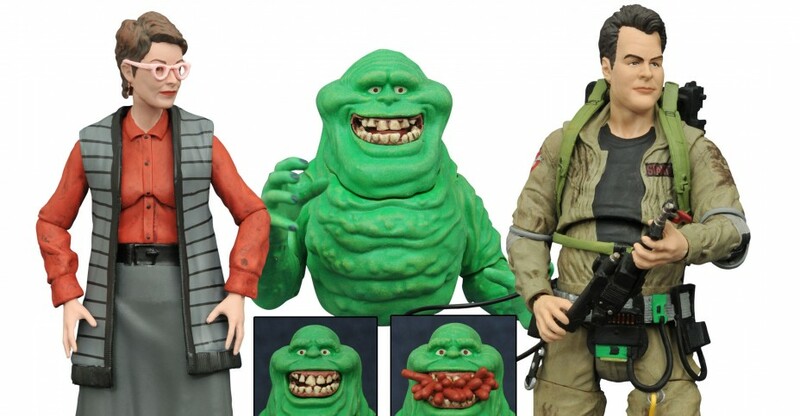 Fans hoping for more than just the four main Ghostbusters as 7″ figures are in for a real treat. Here’s what was on display. DST posted a pic showing the next two Ghostbusters Select figures and they are Dana Barrett (Zuul Possesed) and Walter Peck. Photo added to the story. 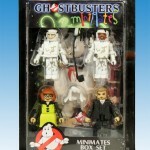 Art Asylum has posted new images of some upcoming Ghostbusters Minimates. This box set comes with four characters. Check out some in-package images by clicking the headline of the story.